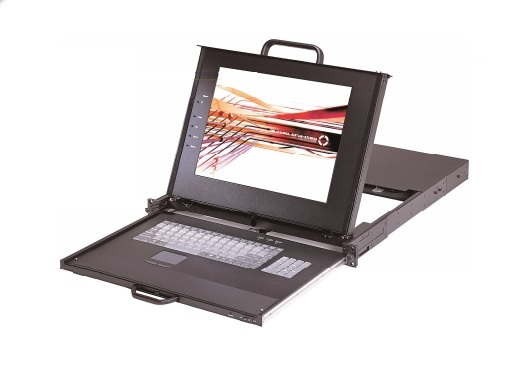 This B Series is a series series of 19” 1U rackmountable KVM unit monitors and controls up to a single PC . Assists in efficient management of valuable space. It is equipped with 15” LCD monitor and 106 keys industrial keyboard and touchpad. Two separate tracks for panel and keyboard for the most comfortable visual distance by moving the LCD closer to or away along provided tracks. This feature also enables the extraction of only the LCD and monitor the activities of connected servers through the closed glass door of your rack. All connected computers can be monitored using auto-scan function. OSD provides you with control over frequency, resolution, backlight luminance and brightness of the video display. Password function enables limited access to all the computers for extra security.